Halloween has already passed and ghosts are no longer a thing… but these creepy crawlers are here to stay as they please. They climb walls, disappear behind shelves, and fly straight at us! Day and night, they can give anyone quite a fright. 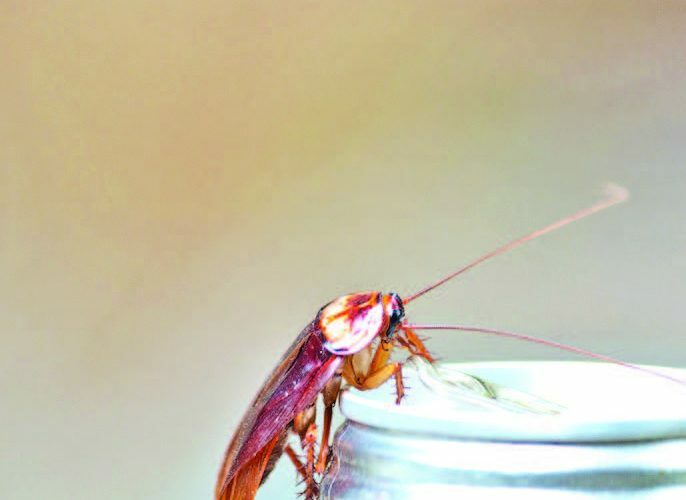 There are around 4,600 cockroach species in the world but only 30 are considered as pests, according to the Smithsonian website. If you ever find one, do not squish them! Doing so can expose you to more bacteria and leave eggs around your house. Use a broom, rag, or cloth to capture them safely, then gently take them out and bid them farewell. Have you ever experienced a cockroach flying towards you? You might have screamed your lungs out as you ran away from a tiny little creature as big as your thumb. Cockroaches are one of the most feared animals on earth, especially when people see them flying around feeling like a butterfly! Little do we know that these roaches are pretty much just as afraid of us as we are of them. Many people think of them as pests that only spread fear and chaos, but they actually have a huge role in ecology. Not only do they provide food for birds, lizards, and other insects, but they also help in making plant life flourish. They also help us in their own little way: Cockroaches will eat almost anything they could find, including our waste, which means they help break down our trash. We might just want to think twice about harming them, but that does not mean that we don’t have to avoid them. Spiderman may be able to climb up walls, spin webs from his wrists, and use his amazing spider sense to tell if he’s in harm’s way, but he’s still just fiction. Cockroaches, on the other hand, are the real deal! Here are some of their superpowers. Studies show that cockroaches have an incredible ability to heal. They can regenerate lost limbs and even produce their own antibiotics, according to a 2018 article written by Maggie Fox for NBC News. 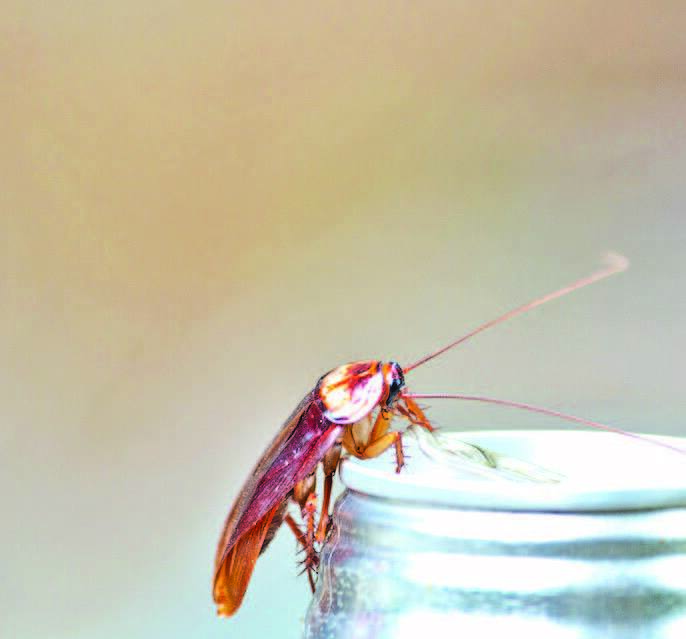 Cockroaches have a super-heightened sense of smell, sight, and touch. These help them find food easily, see in the dark, and feel the air current, alerting them to danger. Cockroaches are almost indestructible. They can withstand forces that are 900 times their body weight without getting injured, reported Robert Full and Kaushik Jayaram of the University of California, Berkeley in a 2016 article published in the Proceedings of the National Academy of Sciences of the United States of America. These tiny critters, even the young ones, can definitely run. According to a 2016 article by Erika Engelhaupt for National Geographic, their speed based on their body length can be compared to a human running at 200 miles per hour! These abilities have inspired past innovations that have already saved lives. I guess we can say that cockroaches are superheroes in their own right! We can coexist with them while also ensuring that our homes don’t become their breeding ground. The World Health Organization says that cockroaches can carry microorganisms that can harm our health. Cockroaches can hide anywhere in your house, so make sure they’re not hiding in these places. Keep your house clean and organized. A messy house gives a cockroach more places to hide. Patch up holes and cracks. They love hiding in small confined spaces, so you better seal them up. Keep it dry. Cockroaches love moist and wet places where they can find water to drink. Leave no traces of food. They are scavengers and will find even the smallest residue of food in your home. Use non-lethal repellents. Non-lethal insect repellents around your house can help keep them out while also ensuring safety for members of your family, human or otherwise.